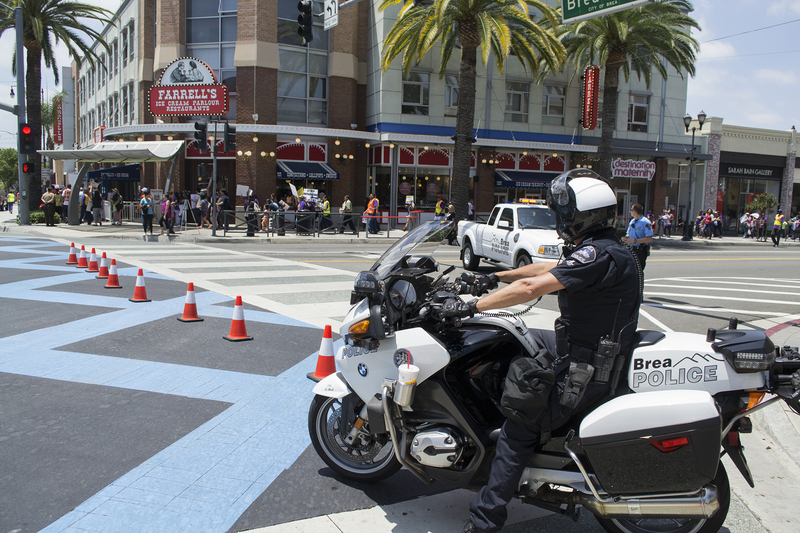 A Brea police motorocycle officer watches as immigration reform protesters march through downtown Brea on June 27, 2014. An immigration reform activist speaks during a news conference leading into the rally around noon on June 27, 2014. 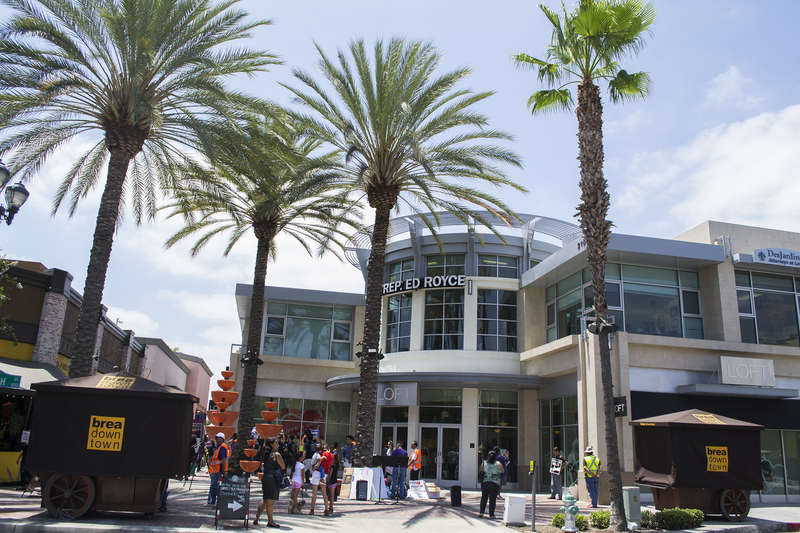 BREA – Police arrested seven immigration reform advocates following a march and protest in downtown Brea to urge Rep. Ed Royce, R-Brea, to pass an immigration bill that has been awaiting Congressional approval for a year, on Friday, June 27, 2014, according to organizers. The bill, the Border Security, Economic Opportunity and Immigration Modernization Act of 2013, would provide more paths for illegal immigrants to gain legal status and citizenship. It was passed in the Senate on June 27, 2013. Around 300 to 400 protesters, most from Asian-American, Latino and workers’ union groups, marched through downtown shortly after noon on Friday, following a news conference where several union leaders called on Royce to take up the legislation. Hee Joo Yoon, executive director of the Korean Resource Center and one of the advocates arrested, said the event, held as part of the National Day to Stop Separating Families, was meant for the immigrant community to come together to present their voice. 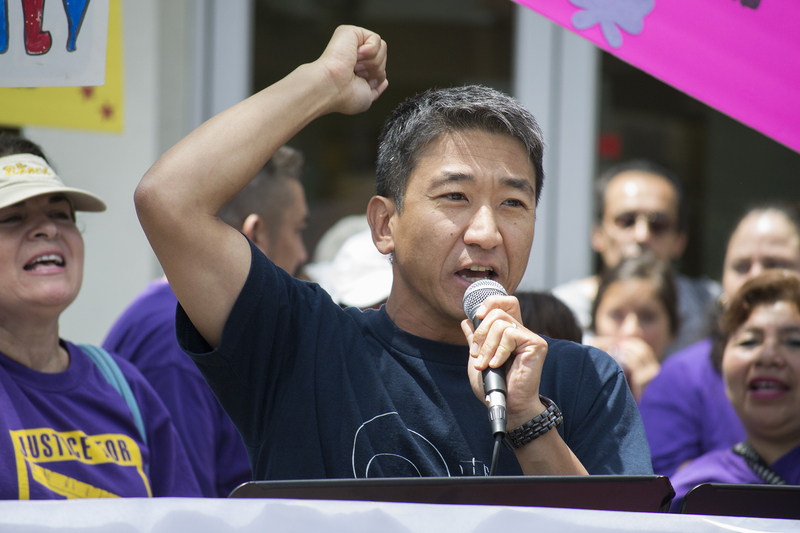 “I am getting arrested today to tell Representative Ed Royce that he has an obligation to stop hiding behind excuses and publicly support legislation that brings millions of aspiring Americans out of shadows and stop tearing apart families,” Yoon said. Posted Friday, June 27, 2014 at 1:30 p.m. Updated Saturday, June 28, 2014 at 11 a.m.
Immigration reform activists met at Rep. Ed Royce’s downtown Brea office Friday, June 27.